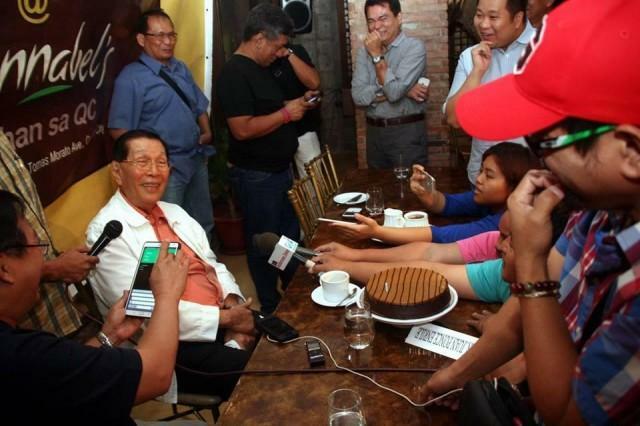 Former Senator Juan Ponce Enrile had once taken advantage of the country previously in political unrest and launched scathing attacks against the government particularly under former President Cory Aquino, accusing her and the administration of amassing TRILLIONS between 1986 – 1990 and spending it allegedly on ‘GHOST PROJECTS’. 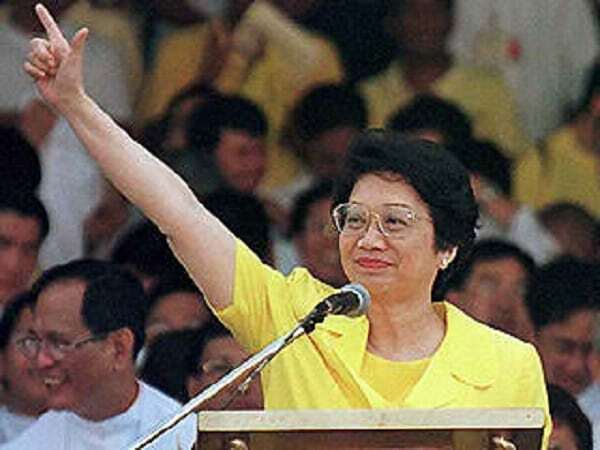 Being among the brave few to unmask the alleged myth and hidden lies of Cory’s presidency, Enrile, who served as her Defense Minister, said that the aggregate amount of P1.238 Trillion that Cory spent within a 4-year period would only belittle the total amount of budget granted to the late Ferdinand Marcos in running the country for 20 years! Enrile implied that "Congress has generously made available to the Aquino administration a huge sum of money—almost one trillion pesos—from 1986 to this day," in a report interview to the Philippine Senate on the real State of the Nation on August 01, 1990. 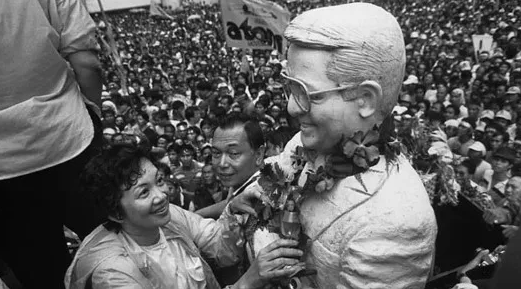 Being a strong, and vocal opposition to Aquino, Enrile also said that with the total population of 60 Million Filipinos at that time, including adults and children, everyone would have been granted P16,677 or equal to an average working man’s semi – annual salary with the amount of money the government possessed. Expressing with regret, Enrile further elaborated by saying: "If that sum of money were judiciously used, we would be seeing today immense and dramatic improvement in the quality of our life. And yet, in terms of visible physical and structural infrastructure achievement, the Aquino administration pales in comparison with the regime it replaced." “If we sum up all the money granted to the Marcos regime from 1966 to 1985, a period of 20 years, as against the four years of the Aquino administration, the total would not come anywhere near the fabulous amount of one trillion pesos. "One trillion pesos could have created 20 million classrooms for children, complete with teaching aids; constructed 10 million modest homes for the poor; obtained 1 million passenger buses for weary commuters; or established one health center for each of the country’s 41,000 barangays. "One trillion pesos could have erected one emergency hospital each for 1,600 towns, one general hospital for every congressional district, and one medical complex in every city and province—all of them equipped with the most modern medical facilities rendering free medicines and medical services to 60 million Filipinos. "One trillion pesos could have irrigated 24 million hectares of rice land, sufficient to produce 2.4 billion cavans of palay per harvest, which would not only reverse the country’s plight as a rice-importing nation, but also place the Philippines as the No 1 rice producer in Southeast Asia." Adding injury to insult, Enrile pointed out that "a capital investment of P30,000 per worker means one trillion pesos could have created 33 million jobs, enough to employ the country’s entire labor force, with each worker placed in a full-time and technologically rewarding job." Enrile concluded that “the amount could have also built a network of 1 million kilometers of farm-to-market roads."